Kicking off National Hamburger Month, Schweid & Sons proudly hosted the Annual NYC Burger Week, May 1-7, 2016. NYC Burger Week is 7 days of delicious and creative Hamburger events all over New York City. New York City—in what other town is there a single food item that is so loved, so unique, and so important that it can claim its own week? There is a never-ending energy and excitement from both chefs and food fanatics around Burgers here. That’s why there is so much innovation and heritage around the Burger. We just all love it so much. The Hamburger is the ultimate American comfort food. It symbolizes comfort, safety, warmth, home, freedom, faith, love, companionship, and all that’s right in the world. A Hamburger not only cures hunger pangs, but it can also cure the blues. It’s a symbol of America—a symbol of progress, commerce, business, and pride. This nation and the billions of dollars behind it have, in part, been made on the one sandwich with the most exciting universal appeal. New York City is at the center of culinary advancement due to the high intensity at which its residents operate and the high volume of restaurants in such a small space. If you don’t like the Burger at one restaurant, it’s possible that there is another one (or two, or three) available on that same block. That’s why NYC Burger Week was created: to showcase and share the talents of some of our favorite local Burger makers. 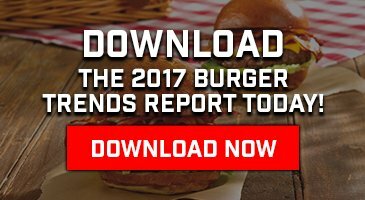 Thank you to every chef, restaurant, media partner, food blogger, food fanatic, Burger lover, charity, brand, attendee, and anyone else that played a part in making NYC Burger Week 2016 a massively delicious and fun week of events! It’s a mighty big Burgerverse we live in, but you make it that much more exciting.